One of JewelPie’s favorite articles is strawberry cheesecake parfait. 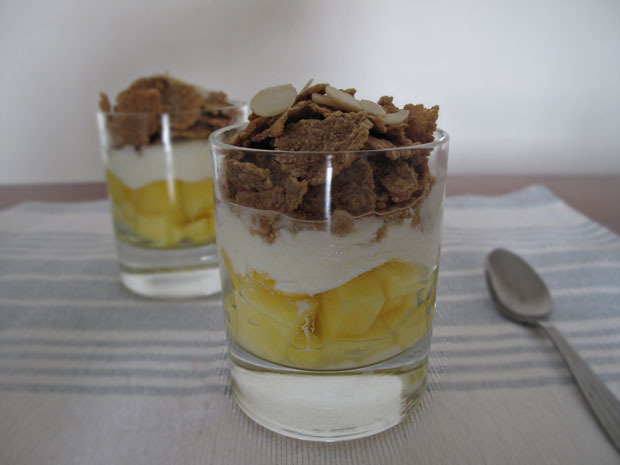 Since you like parfait, we’ve decided to create another one for breakfast. This time, you only need 4 ingredients and 5 minutes! 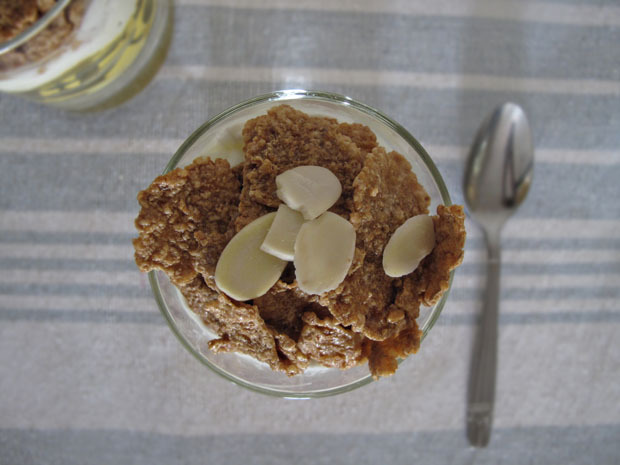 We wanted to make this breakfast a speedy, beautiful as well as a healthy one. To ensure quick preparation, get ready-made mix box of whole-wheat and nuts. 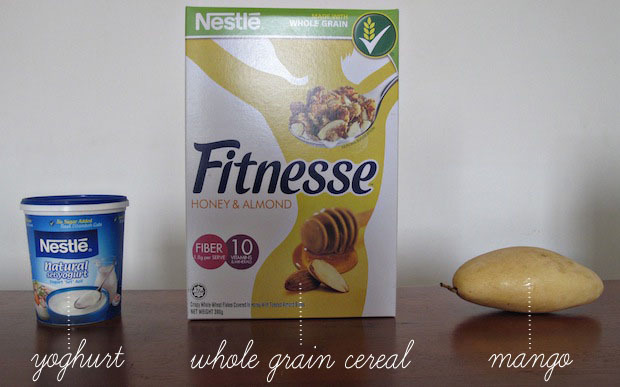 We chose Nestle Fitnesse Honey & Almond. 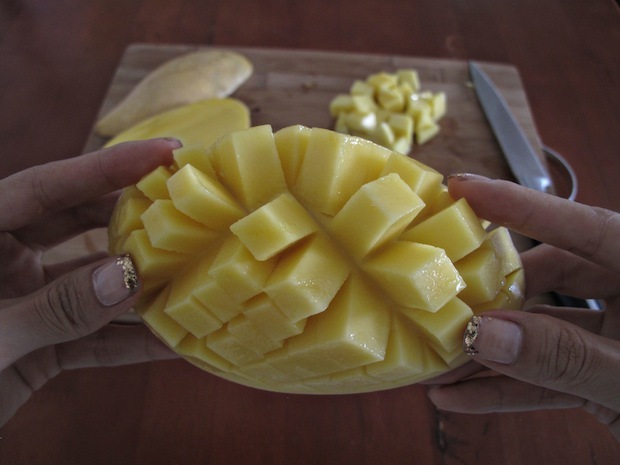 We also chose fruits that are easy to prepare such as mango. 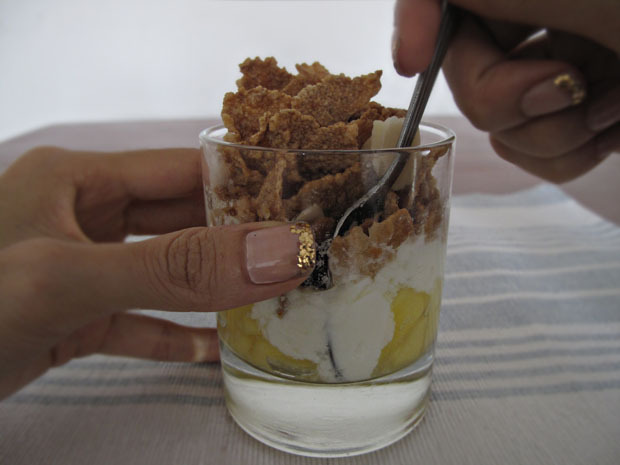 It’s very easy to create this parfait: simply layer the glass with yoghurt, whole-wheat flakes from the box and fruits. Drizzle with honey if you like it sweeter. 3. 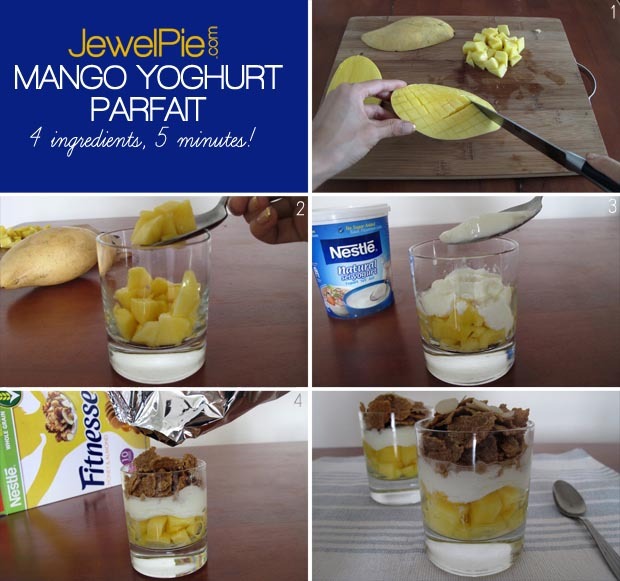 Top mango with yoghurt. Drizzle with honey if you like it sweet. 4. Pour Nestle Fitnesse Honey & Almond into glass. 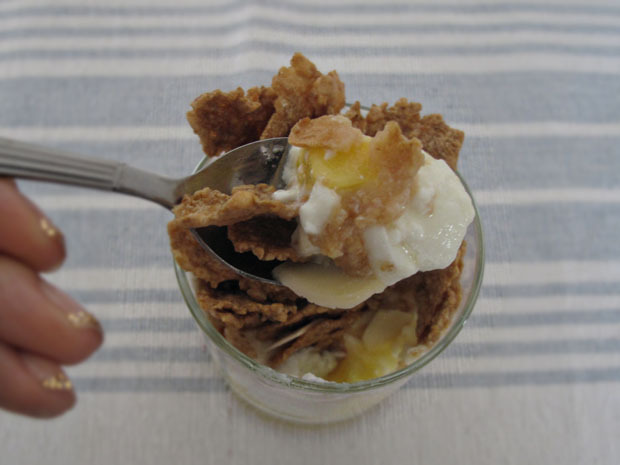 There, a simple & healthy breakfast in minutes! What do you normally have for breakfast? Share with us if you have any good ideas for a healthy and beautiful breakfast!